Hello there and welcome to day one of the Clearly Besotted October 2018 release teasers. It is an amazing release with lots of Christmas/winter/holiday sets and a lot of them are the smaller sets, so great price point too. 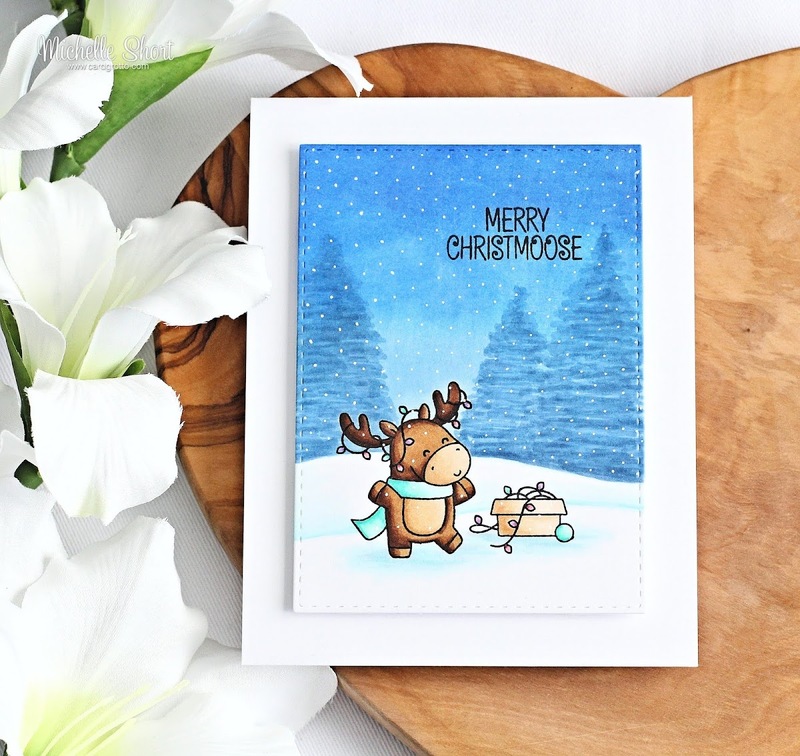 I am using one of the smaller sets today, it is called Merry Christmoose and is adorable! I started off by taking a panel of white cardstock and die cutting it using one of the SSS Stitched Rectangle dies. 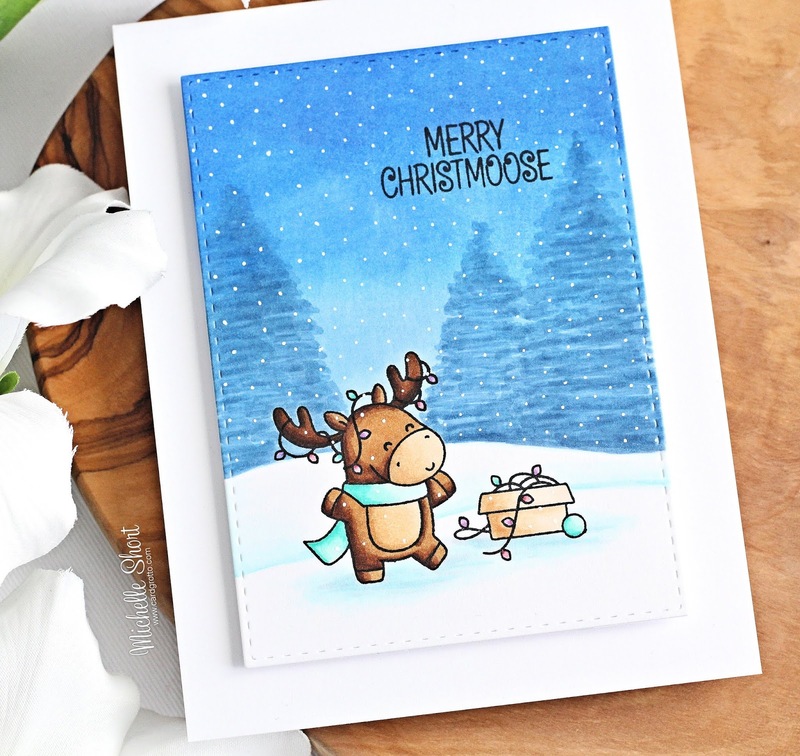 I then stamped one of the moose from the Merry Christmoose set on to it, as well as the box of Christmas lights, using Memento Tuxedo Black ink. I stamped the sentiment in the top right hand corner, again with black ink. I then created a snowy scene background for the moose to stand in. I used Copic Markers for this, adding in the sky first and then the trees on top. Followed by the snowy ground. I then coloured the moose and box of lights. 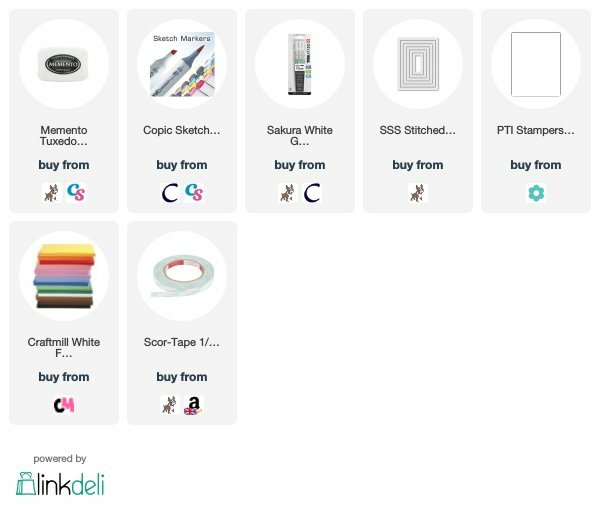 All of the colours that I used are listed below the supplies section for reference. The panel was added to an A2 white card base with foam sheet and DST. I then added dots of snow with a white gel pen. COPIC MARKERS: Moose - E49, E59, E57, E55, E53, E51. Scarf plus ornament - BG13, BG11, BG10. Lights - V15, V12, R85, R81, BG13, BG11. Box - E55, E53, E51. Snow - B00, B000, C2. Sky - B26, B24, B21. Trees - B45. Isn't that moose adorable?! I love him! 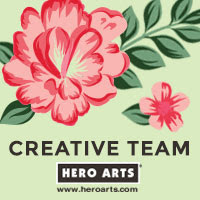 Please do head over to see what my teamies Stephanie, Keren and Lisa have been up to. Thank you so much for stopping by to see me today, see you tomorrow for day two. Have a great day! eep! This is soooooo CUTE! Love your adorable card! That moose is absolutely adorable! Awesome background for your scene! 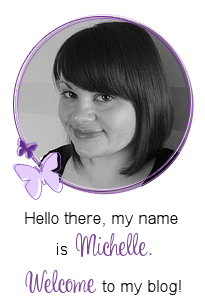 This is absolutely gorgeous Michelle and a definite must have for my shopping basket. Looking forward to tomorrow's teasers. Absolutely stunning card, your scene is amazing, those tress, wow. The cute lil mousse is so sweet, coloured so well. Thanks for sharing your hard work. What a festive background you created for this adorable moose!!! So super cute!!! This is fabulous! Great background. I'm not brave enough to attempt anything like that with my Copics. I'm still intimidated by them.